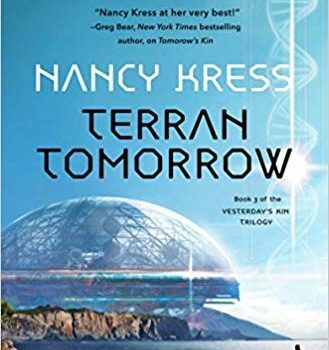 Terran Tomorrow, Nancy Kress (Tor 978-0-765390356, $27.99, 336pp, hc) November 2018. A really good SF/F universe or future his­tory doesn’t want to end but to sprawl beyond arbitrary volume-number limits – it invites or even demands continued exploration and exploitation, answers to next-questions (in the Theodore Sturgeon “ask the next question” sense), or just a reason to tour around and see what might be lurking in the next solar system or hidden in the deep- or hidden-historical background. 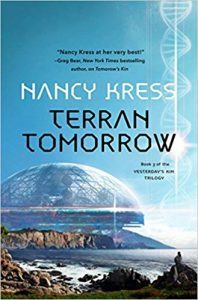 Terran Tomorrow completes Nancy Kress’s Yesterday’s Kin trilogy, though I was not surprised to note that the ending hardly ties everything up with a bow. (I will return to that bow-lessness later.) Kress has been working in multi-unit sequences at least since the Beggars series (1992-96), sometimes starting with a no­vella and building up to triple-novel format. This might be seen as a variation on James Gunn’s “sell it twice” professional-writer strategy (see his memoir, Star-Begotten), but I suspect it has more to do with the way Kress thinks through the issues that drive her stories: she never seems quite satisfied with the resolutions demanded by the beginning-middle-end structure of conventional storytelling. Instead, each apparent resolution or escape or victory is actually a new situation with its own set of problems, dangers, contradictions, and unintended consequences. The worlds of her stories just won’t sit still. The generating notion of the Yesterday’s Kin story arc is that 140,000 years ago powerful and mysterious Somebodies transported a popula­tion of early humans to a planet circling a red dwarf sun and left them there to follow their own evolutionary-cultural path, which eventually led the Kindred (as they call themselves) back to Earth in the hope that their Terran cousins could help defeat a plague of interstellar disease spores that could wipe out most advanced animal life on both their world and ours. As in the earlier books, the story unfolds through multiple points of view. Colonel Jason Jenner is Marianne’s grandson and the commander of a domed outpost of the legitimate-remnant American military government. 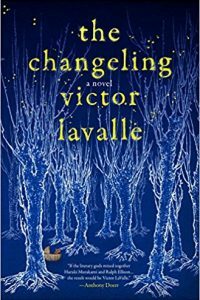 Virolo­gist Zack McKay is a widowed plague survivor desperately determined to find some solution to the disease, for the sake of his second family. The Kindred translator who renames herself “Jane” is in a position to see much but is puzzled by all of it. A crucial non-viewpoint character is Jason Jenner’s brother Colin, who leads a community of immune survivors determined to re-establish humankind on a healing Earth without repeating the mistakes that led to the environmental ills that have been halted or reversed by depopulation. From the time the Return lands, the story line is a relentless one-damn-thing-after-another string of deadly or even catastrophic problems: not only attacks by New America and conflicts within the legitimate military, but solutions that turn out to carry unforeseen or unintended consequences, especially a coma-inducing condition brought from World, a side-effect of the virophage that had defeated the original space plague. 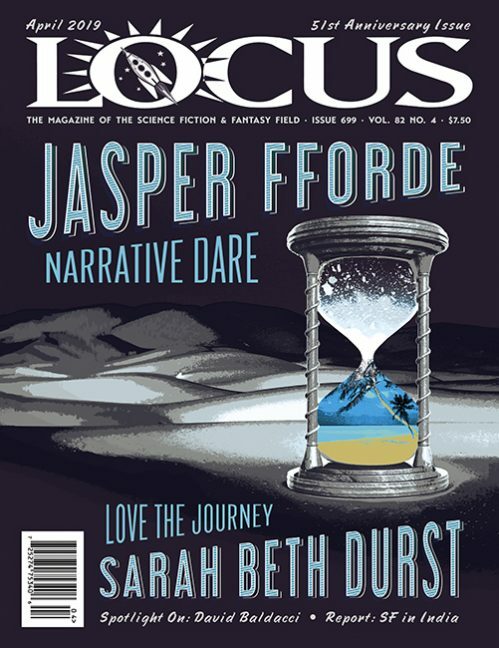 As Jason says at one point, “We can’t catch a break,” and I confess that at the two-thirds mark, I was won­dering whether the whole cast might not wind up dead and the planet left to the tender mercies of plague and warlords. 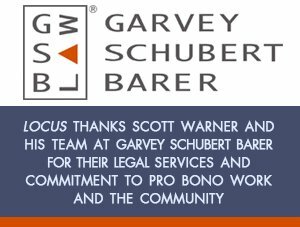 Exactly how and by what means that dire outcome is averted is another mat­ter that must remain behind the Curtain, though I will say that the solution is in harmony with the series’ overarching pattern and themes. What’s riveting is not so much the solution(s) as the intermediate attempts to cope with the relentless procession of challenges. 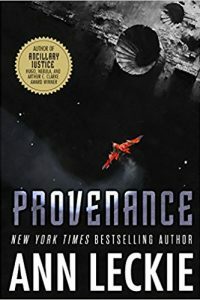 In a Kres­sian world, not only do things go wrong on their own, but people-in-general show a serious talent for making them worse, at the same time that other people rise to the occasion and behave, if not always heroically, at least stubbornly in the face of the tensions generated by duty, discipline, necessity, and humanity. Thus there are monsters (mostly off-stage) and heroes, fools and saints. Thus the rise of the murderous New America and the dogged, exhausted leadership of Jason Jenner; mutiny and desertion and trust and loyalty among his troops; the irrational resentment of some Ter­rans toward the Kindred and the reflexive empathy of “Jane” even as she struggles to understand Earthly language, attitudes, and behavior. Nor, even when the material threats are overcome, is there a single resolution for the various moral, social, and psychological conflicts that hover over the story, no single perspective that can harmonize them. The novel ends with another journey about to begin, with hints of answers to big questions about the origins of the Kindred and why some problems and solutions have inter-operated, but there is no final resting-place, only next ques­tions. One suspects that the supply of those is considerable.